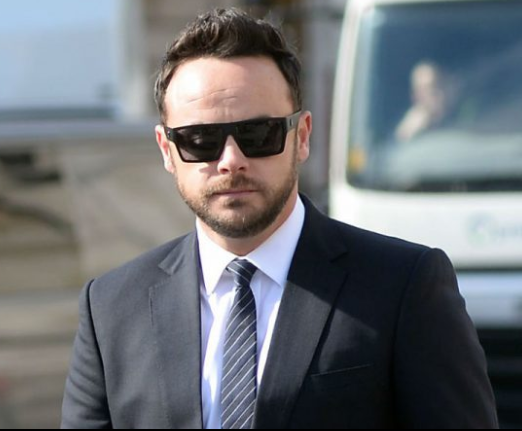 Ant McPartlin has been readjusting to life following his stint in rehab by returning to Newcastle to visit his mum and now he’s ready to head home. The presenter – who announced in June that he was seeking treatment for an addiction to prescription drugs and battles with substance and alcohol abuse – is going back to London to be with wife Lisa after spending time with mother Christine. It looks going back to his roots has given Ant, 41, a boost as he prepares to work on his marriage. ‘He needed to go home and get back to his roots – it was just the tonic he needed,’ a source says. “Even though he is settled in London, Newcastle will always be his true home and going back there is like going back to normality for him. Things have clearly been difficult for make-up artist Lisa following Ant’s troubles but it sounds like the pair are determined to work through it. It comes after Ant revealed that his mum was thrilled to have the old version of her son back after such a difficult time. ‘She’s happy to have me back,’ he explains. ‘People do notice the difference in you when you’re down and depressed. Ant’s clearly been through a lot, having recently spoken of how he once nearly DIED from an ‘insane drug binge’ that left him ‘screaming in pain’. His problem with drugs started when he suffered a knee injury in 2014 and after being prescribed highly addictive painkillers to ease the pain, the telly star quickly became addicted. He’s also admitted that he drank with them, something he’s called ‘stupid and very reckless’. Now though Ant is ‘proud’ that he’s been through his two months of rehab and has praised Lisa – who he wed in 2006 – for being ‘amazing’ throughout it all.